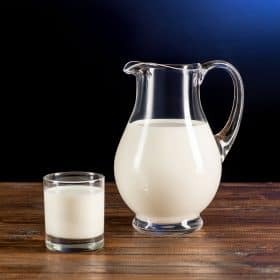 Even though this subject has caused some disagreements and lively discussions within the Save Our Bones community and beyond, I’m going to tackle it again in today’s post, in hopes to elucidate an additional seldom-mentioned detriment of drinking milk. In fact, this is yet another confirmation that humans should not drink cow’s milk. This might surprise you: the ability to digest milk is actually a genetic mutation. Over and over, research has shown that the inability to digest milk and milk products (known as lactose intolerance) is actually the rule, not the exception. 60% of adults can’t digest milk, and when these individuals consume dairy products, they experience a host of unpleasant side effects. What Does it Mean to Be Lactose Intolerant? Often confused with a milk allergy, which is entirely different, lactose intolerance refers to the inability to digest milk due to the lack of an enzyme called lactase. Lactase is needed to digest lactose, the kind of sugar found in milk. These undigested sugars then end up in the large intestine, where they ferment, causing inflammation, painful gas, diarrhea, and other unpleasant and painful symptoms. It’s actually normal to lack lactase; it typically stops being produced by the body between the ages of two and five. But for a small number of people, a genetic mutation causes the body to keep producing lactase. For these people, milk and milk products do not cause the symptoms of lactose intolerance. Because the ability to digest milk is actually the rarity, scientists prefer to call those who can digest milk “lactase persistent.” It makes more sense than labeling those who can’t digest milk “lactose intolerant,” because that’s actually the norm. Many people think that lactose intolerance is a product of our modern lifestyle, or perhaps a byproduct of unhealthy eating habits. But according to a recent University College London study,1 the genetic mutation that allows some people to digest milk occurred among dairy farmers living in the central Balkans and central Europe around 7,500 years ago. Another genetic mutation for lactase persistence occurred a bit more recently (between 2,700 and 6,800 years ago) among small populations of cattle herders in Africa. These mutations indicate a couple of key things. First, prior to the genetic mutations, the entire world population would have been lactose intolerant. And after the mutations occurred, most of the world’s ancient people were still lactose intolerant. That hardly qualifies as a modern problem. So when we put it all together, it’s clear that milk, which causes inflammation in most people, also causes low bone density. If You Can Digest Milk, Does it Still Hurt Your Bones? Absolutely. Even if you are among the minority of people who are lactase persistent, or if you consume lactose-free dairy products, milk can still harm your bones because, among other things, the proteins in milk acidify the body’s pH. As those on the Osteoporosis Reversal Program know, an acidic environment in the body leads to bone loss. This is because your body will attempt to neutralize the acidic surroundings by leaching calcium, an acid neutralizer, from your bones. But I’ve Been Drinking Milk all My Life! With osteoporosis on the rise, one of the questions you must ask yourself is whether or not “what you’ve always done” are the right things. After all, when there’s a problem as widespread as osteoporosis, it’s wise to take a step back and evaluate your habits, diets, and lifestyle. Because surely, some of the things you’ve been told are good for your bones aren’t good for your bones after all. Just because a myth is persistent, doesn’t mean it’s valid. Did you know that black cats are still the hardest animals to adopt from animal rescue centers? After thousands of years, people still believe the myth that black cats are bad luck, even though this is patently false. It’s the same way with bone health. So how can you sort through what’s good for your bones, what isn’t, what you’ve always been told, etc.? How do you figure out what’s truly healthy? Because it’s already been done! The Osteoporosis Reversal Program has already sifted through all the research, science, and myth to bring you the healthy truth. And the Program presents all this information in clear, easy-to-follow language with practical applications like the Recipe Sampler and Doctor Dialogues. Everything in the Osteoporosis Reversal Program is good for your bones. There’s no guess-work. If you haven’t yet, I encourage you to explore it risk-free today! I am a Diabetic and have lots of blood problems. Lately seems like milk dosent agree with my tummy very well.If fermented dairy products are ok ,what about buttermilk? Diabetics should never have any dairy in any form. No milk, milkfat or youghurt. Ever. You can even opt for the greater expensive alternatives. Platinum eagle as well as Titanium are hypoallergenic but are higher priced because of the excellent quality. They are often far more boring than rare metal however their simpleness truly generates a nice appeal to your personal style. And they also look good followed by your current basic or simple tinted satisfies. But when you really want hot necklaces such as rare metal, choose18kt as well as 22kt rare metal. Great britain Visit the actual Louis Vuitton Metropolis located at Some Regal Trade Properties Birmingham EC3V 3NL United kingdom. In case inside Luton pay a visit to Selfridges 1 Trade Sq Luton M3 1BD United kingdom. Thanks for the information. I stopped taking milk some time back. However, I now occasionally take it. I work in an Analytical Chemistry laboratory and we are encouraged to drink milk because of the fumes emitted from the chemical reactions. Does milk help and is there an alternative? Will coconut milk have the same effect as the normal milk in countering the fumes? Which is better for you almond milk or coconut milk? Could you or someone out there give me an answer? Thanks so much. It depends on how you feel about oxalates. Almonds are heavy in them. Some people are okay, apparently others are inclined to get kidney stones or have mental effects. You can look it up. Personally, almonds make my tongue swell so we are a coconut family. work and let the information keep coming. I have to share this with you. I have had a lot of stomach acid in the last few years and I was diagnosed with acid reflux. As I had been previously diagnosed with osteoporosis, I added more cheese to my diet considering that I did not eat nor like milk and yoghurt. Of course, I kept a balance between alkalizing and acidifying foods. My osteoporosis improved and I have osteopenia, but I want to improve even further. As I knew that milk is not so good for our bones, a week ago I decided to stop eating cheese and give it a try. Since then, I have not had any acid problems, I do not cough at all, I can even laugh without coughing and I do not need to clear my throat. This is simply amazing, I made the change for my bones and I ended up solving my acid reflux, at least for now. What is your opinion of raw milk cheddar cheese.? I was on Fosomax for 10 years. I found out about how bad it was on my own. So I went off of it and my doctor wanted me to go on Boniva. I ordered your book and am really excited to finally get some help. I am getting my bone density test on Wednesday. I will be letting my doctor know that I will be starting your program. I already read alot of good information from this website. I am 53 and I feel I can reverse my bone loss with this program not another drug. Thank you and I will let you know of my progress. Again, your milk comments are based on ‘feedlot’ pasteurized and homogenized milk–from cows fed antibiotics and many strange things that cows are not designed to eat. That milk IS harmful to drink. However, milk from a clean dairy and grass-fed cows, properly cared for is a very safe, nutritional product. I’m Still Drinking Almond Milk, And I LOVE IT! I Also Take An All Natural Allergy Relief Tables, That Are Working Very Well. It’s Not Jim Healthy’s Brand, But It Does Do It’s Job! I Guess That’s It For Now! Take Good Care Of Yourself, And Stay Well! It is a grave mistake to generelize about milk. All that is said in the article is completely true concerning commercial pasteurized indistrial milk, but at the same time completely mistaken when it concerned milk from sheep, goats and grass-fed cattle. There are nations like Tibetans, Mongols and traditional milk users in Europe who THRIVE on milk – and the reason is that they consume non-pasteurized milk of grass-fed and healthy animals without added hormones, antibiotics and the other dangerous chamicals contained in industrial milk. I grew up in Switzerland with lots of milk. I’m almost 72 years old and have lived in the United States more than 40 years. Milk is still one of my favorite drinks. Not long ago I’ve had my second bone density test and the result is always a plus instead of a minus. In fact they tell me I don’t need to come back for 10 years. The rest of my Swiss family still lives in Switzerland and none of them have ever had a problem with bone density. If milk is so bad for you, why do you suggest eating yoghurt? Does anyone on the Save our Bones programme have pancreatitis? Has the diet affected this in anyway – either improvement or worsened things. I have noticed that when I do have milk, cheese, orange juice and several foods that I form thick catarrah – does anyone else have this problem. How does sheep’s and goat’s milk and yogurt figure in the equation? Thanks Vivian for all your helpful information. I don’t drink cows milk and haven’t for sometime. I have started drinking and using coconut milk in place of cows milk. I have heard that it is also good for the memory. I really enjoy the coconut milk and drink it on a daily basis. Coconut milk contains Medium Chain Triglycerides that which help to get rid of bad cholesterol from the body, muscle building, prevent Alziemers, control the blood pressure and etc. Coconut oil is the best oil to cook with as it does not contain any BHA that creates Transfat in the blood and circulatory system, etc etc. More uses of Coconut milk, oil, MCToil etc will be written later. Thanks for the milk information. I have a question about SPINACH. Vivian, you’ve recommended eating spinach more then once. Many say it’s calcium can’t be absorbed by the body, (like chard, and beet-leaves, and rubarb), sometimes it even robs the body from calcium. Some say you can eat it, but you have to add lemon. What’s your input in this? Shula, feel free to make use of the search feature on the site – just type your subject or topic in to the box and his Search. 🙂 Or, you can ask your question via customer support by clicking on the smiley face at the top of the screen. Thanks! I am very curious about the possible difference between pasteurized and unpasteurized raw milk with live enzymes. Have you explored the difference? Can milk cause pain below the navel on a nightly basis…been to many, many docs and not one can help me with the pain…many meds, no relief…help…a year of pain, was a mik drinker all my life too. Question: Would taking supplemental digestive enzymes help??? Some additional problems with drinking animal or cow’s milk is that 80% of the protein in milk is casein protein. Casein protein is almost like glue and is hard for humans to digest. Thus it may clog up the lungs. Also, animal or cow’s milk is very mucus type food product which causes germs to stay in the body. Therefore, animal or cow’s milk drinkers may experience ear infections or strep throats. Marge, in response to your pain, when you are having pain, have your pancreatic enzyme levels checked. My son has chronic pancreatitis and the pain is located around the navel area. A few newsletters ago you were saying that yoghurt is very healthful for people with osteoporosis! I am a little confused now about that matter! Yoghurt is a fermented dairy product, meaning it has beneficial bacteria. 🙂 Fermented dairy, in moderation, is good for bones! Thanks for your response and thanks for the book suggestion. I”m blood type A-. Always wondered how that impacted things! My daughter, also A- is now seeing a Naturopath for her bone and other issues. I’m not sure what type my two sisters are, but I sure will find out and let you know. I have stopped cow’s milk and drink almond milk now. Question: should I also stop eating cheese and cottage cheese? What do you know about carrageenan? Contrary to the multiple online posts, it is not a carcinogen or the spawn of satan. A.	Carrageenan is a naturally-occurring seaweed extract. It is widely used in foods and non-foods to improve texture and stability. Common uses include meat and poultry, dairy products, canned pet food, cosmetics and toothpaste. A.	Self-appointed consumer watchdogs have produced numerous web pages filled with words condemning carrageenan as an unsafe food additive for human consumption. However, in 70+ years of carrageenan being used in processed foods, not a single substantiated claim of an acute or chronic disease has been reported as arising from carrageenan consumption. On a more science-based footing, food regulatory agencies in the US, the EU, and in the UN’s Food and Agriculture Organization/World Health Organization (FAO/WHO) repeatedly review and continue to approve carrageenan as a safe food additive. Q. What has led up to this misrepresentation of the safety of an important food stabilizer, gelling agent and thickener? A. It clearly has to be attributed to the research of Dr. Joanne Tobacman, an Associate Prof at the University of Illinois in Chicago. She and a group of molecular biologists have accused carrageenan of being a potential inflammatory agent as a conclusion from laboratory experiments with cells of the digestive tract. It requires a lot of unproven assumptions to even suggest that consumption of carrageenan in the human diet causes inflammatory diseases of the digestive tract. The objectivity of the Chicago research is also flawed by the fact that Dr Tobacman has tried to have carrageenan declared an unsafe food additive on weak technical arguments that she broadcast widely a decade before the University of Chicago research began. Q. What brings poligeenan into a discussion of carrageenan? A.	Poligeenan (“degraded carrageenan” in pre-1988 scientific and regulatory publications) is a possible carcinogen to humans; carrageenan is not. The only relationship between carrageenan and poligeenan is that the former is the starting material to make the latter. Poligeenan is not a component of carrageenan and cannot be produced in the digestive tract from carrageenan-containing foods. Q. What are the differences between poligeenan and carrageenan? A. The production process for poligeenan requires treating carrageenan with strong acid at high temp (about that of boiling water) for 6 hours or more. These severe processing conditions convert the long chains of carrageenan to much shorter ones: ten to one hundred times shorter. In scientific terms the molecular weight of poligeenan is 10,000 to 20,000; whereas that of carrageenan is 200,000 to 800,000. Concern has been raised about the amount of material in carrageenan with molecular weight less than 50,000. The actual amount (well under 1%) cannot even be detected accurately with current technology. Certainly it presents no threat to human health. Q. What is the importance of these molecular weight differences? A.	Poligeenan contains a fraction of material low enough in molecular weight that it can penetrate the walls of the digestive tract and enter the blood stream. The molecular weight of carrageenan is high enough that this penetration is impossible. Animal feeding studies starting in the 1960s have demonstrated that once the low molecular weight fraction of poligeenan enters the blood stream in large enough amounts, pre-cancerous lesions begin to form. These lesions are not observed in animals fed with a food containing carrageenan. Q. Does carrageenan get absorbed in the digestive track? A.	Carrageenan passes through the digestive system intact, much like food fiber. In fact, carrageenan is a combination of soluble and insoluble nutritional fiber, though its use level in foods is so low as not to be a significant source of fiber in the diet. Carrageenan has been proven completely safe for consumption. Poligeenan is not a component of carrageenan. The consumer watchdogs with their blogs and websites would do far more service to consumers by researching their sources and present only what can be substantiated by good science. Unfortunately we are in an era of media frenzy that rewards controversy. On June 11th, 2008, Dr. Joanne Tobacman petitioned the FDA to revoke the current regulations permitting use of carrageenan as a food additive. On June 11th, 2012 the FDA denied her petition, categorically addressing and ultimately dismissing all of her claims; their rebuttal supported by the results of several in-depth, scientific studies. You cannot have a discussion about milk unless it is inclusive of raw dairy which can be safe. Check out westonaprice.org. I have two sisters. One of them and I refused milk at an early age – we both disliked it intensely. She and I have been diagnosed with osteoporosis and were put on bisphosphonates. She was a medical writer before retirement, and as such had access to medical reports not generally available. It was she who advised me to quit the Actonel (I had been on it 2 1/4 yrs) because of side effects; she’d quit her Fosomax earlier. All this was 15+ years ago. My doc is still a bit peeved with me for refusing the drugs, and my bone density has neither improved nor declined since being on the Save Our Bones program. My point here is that the third sister (we’re all in our 80’s, I’m the youngest) loved milk and has been a life long milk drinker. She has admirable bone density, no bone issues at all. I guess it’s “different strokes…” Personally, I’m delighted to have found Almond milk, thanks to s.o.b; sure tastes better than cow;s milk! Hi Jean, I loved this article on ph/acidity, milk and bone health and was even more interested in your response. I am a Naturopath of 8 years and I had a thought in response to your comment. I wonder what blood group you and each of your sisters are? Especially the one who drank milk and has admirable bone density. Blood types can also play apart in how the body absorbs minerals and excretes them. Have you ever heard of a book called “Eat the Right Diet” by author Dr Peter D’Adamo, I think you would love this, it’s so interesting. Anyway just curious. Lea Perth W.A. Would goats milk that I buy in shops be good at all? My Save Our Bones friends, I have not consumed pasturized milk in 7 years. Switched to raw goat milk and saw improvement in my OA and IBS symptoms in a short time. I also drimk kefir that I make from organic cow’s milk. The fermentation process eliminates the lactose. I have made dramatic progress in addressing my OA and OP in the last seven years, and elimiated my IBS problem. My IBS problem was also addressed by going on a glutin free diet, which brought my weight down 30 pounds in 3 months to a normal [ for me at 5’10” ] 172 pounds. I had high blood pressure, 165/95 and high blood glucose, 117, prior to these dietary changes. They are now in the optimal range. I did all this with dietary changes alone, without any “pharma” drugs, or changes in my exercise routine, at all. I also supplement with various essential vitamins, minerals and amino acids. Taking Wobenzym N, daily for several years, also, to virtually eliminate inflamation. I am a 72 year old male and no one believes I am over 55. Have even been guessed as being in my late 40’s. I say all this to encourage other’s. I hope it’s not mistaken for bragging :-). My hair stopped falling out and breaking off, chronic candidiasis gone, and dry skin problems also gone. Ten years ago, my wife had to put my shoes and socks on me as I was unable to bend over far enough due to the constant lower back pain. I was literally a “couch potato”. I now ride my motorcycle an average of 11,000 miles per year. PS, I recently began eating Knox unflavored gelatine, daily, to which I add organic honey for flavor. I have so much energy now, that I joined a gym yesterday, LOL. Winfield. Winfield. , You are an inspiration. If only my dad would have taken on such an approach to life. He died at 72 with cirrhosis of the liver and osteoporosis. He tried to watch his diet but never changed it as much as you did which makes sense to me for all the obvious reasons. Not that I wasn’t proud of my dad, I would be proud of you if were my dad ! Lea Perth W.A. Very interesting Vivian, I am lactose intolerant and have been a long time. I also did not miss the young age at which we change. I look at the life of my dogs and cats and they are weaned at a young age and then eat other solid foods and thrive well. It’s not hard for me to accept this at all. It’s very obvious! As you are addressing a primarily U.S. audience, you might want to use figures other than your 60%. According to a Cornell University study, the 60% figure is a world-wide figure as most lactose intolerance is found in people of Asian and African descent. People of northern European descent tend to retain the ability to produce lactase and drink milk throughout life. Only about 16% of the U.S. population is lactose intolerant. That means 84% can digest milk. Perhaps milk should be avoided because of its acidifying effect, but most Americans, especially those of European descent, can digest milk. You do not comment on raw milk, which is what I and my family drink all the time. I believe that pasteurised milk is bad for us because all the good enzymes have been removed. I personally know two people who, at my suggestion, tried raw milk–they were told they were lactose intolerant–and found that they could drink raw milk without any problems at all. I really appreciate your work, book, info, and being part of the Save Our Bones Community. You might like to read the first question and answer in this Vivian Answers session, Finetta – the link is below. 🙂 Someone else in the Save Our Bones community had similar concerns! 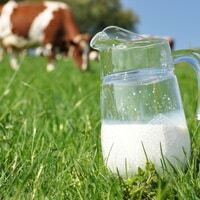 I’ve also commented on raw milk in other posts – links to them are highlighted in the article. Feel free to click on any of them for more info! How do you know you have an intolarence? What are the symptoms? I remember that back in the 1930’s my 2 sisters and I were in grade school. It was during the depression. Many children,were given a half pint of milk for a morning snack. My older sister remembered that she would often have a headache later in the morning. At the time no one saw any connection. For myself, I know I was often constipated. Was it from milk? Shirley, that’s very interesting – there may indeed have been a connection! drinking milk.So don’t let anyone tell you otherwise. I suggest to our Save Our Bones community to read a book called ‘The China Study’ it was a real eye opener about milk. Could you please let me know how much the various options in the Program would cost in New Zealand Dollars. Bron, please contact customer support with your questions and concerns – you’ll find a link at the top of the page. Just click on the smiley face icon. Thanks!